Can Modern Analytics be Forced into Traditional Pharmacovigilance Workflow Tools? Modern pharmacovigilance departments today do more than process and review ICSRs. They are involved in the entire lifecycle of a drug, providing vital data points and analysis that inform everything from clinical trial design to commercial planning to post-market safety surveillance. In order to perform well, pharmacovigilance and safety science teams require access to an array of data and the analytics to make sense of those data. The insights gained from unique combinations of clinical and real world data drive signal detection, epidemiological research, and evidence generation, all of which support organization-wide decisions. The problem is that drug safety insights are hard to obtain and teams often get caught in a "paralysis by analysis" trap. With multiple platforms and tools contracted into various departments, often just knowing who holds the access for one of the numerous available data sources is hard to discover. When the data are finally obtained, complex and outdated user interfaces designed for data scientists, not medical reviewers, make the analysis tasks much more difficult than they should be. Many old-line software providers are trying to combat this problem by adding data and analytics suites on top of traditional workflow tools. This is a classic square-peg-in-a-round-hole solution - a band-aide approach that has been insufficient and fails to address the core issue of expanded safety science tasks and responsibilities. But it's quickly become clear to more and more drug safety professionals that "quick fixes" aren't working anymore. And, even worse, may be stifling true innovation in the industry. With modern software-as-a-service and agile approaches to development, it doesn't have to be this way. Forward thinking pharmacovigilance departments are realizing this and taking steps today to adapt and move their processes forward. Complex data integrations and modern analytics can't sit on top of traditional workflow tools. In a data-first world, those workflow tools need to be built in and around the data and analytics that drive decision making. And, yes, those workflow tools still need to comply with GVP best practice and regulatory requirements, but they must also allow for the flexibility to continue to expand in the future. Advera Health's Evidex platform has been built, and continues to be enhanced, side-by-side with our client partners to solve the challenges of the modern pharmacovigilance department. An agile, flexible approach to data, analytics, and workflow allows for quick implementations that can meet the scale of both large and small organizations. 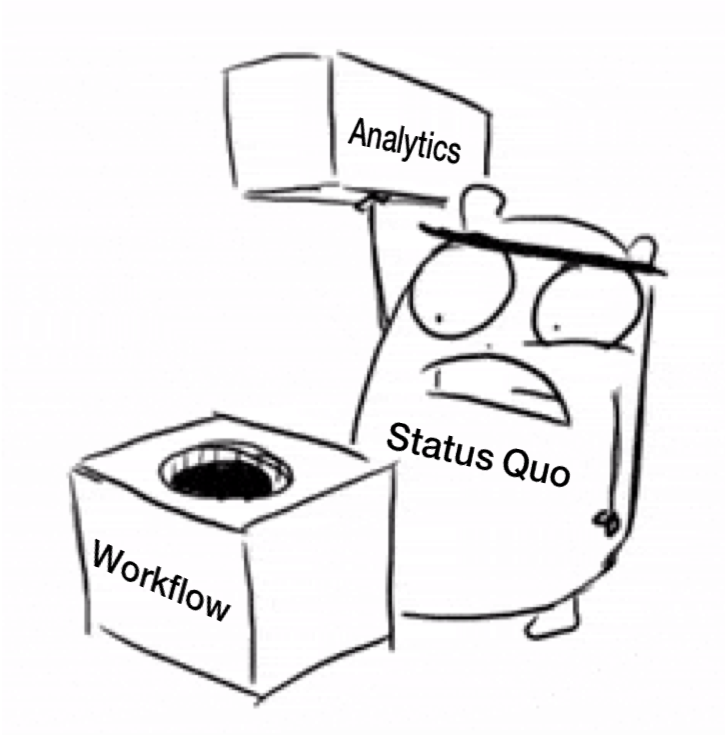 Don't settle for legacy software, analytics silos, or stale data. Ask us how we are working with our client partners to usher in the age of pharmacovigilance 2.0. Also, see our Complete Guide to Pharmacovigilance Analytics.